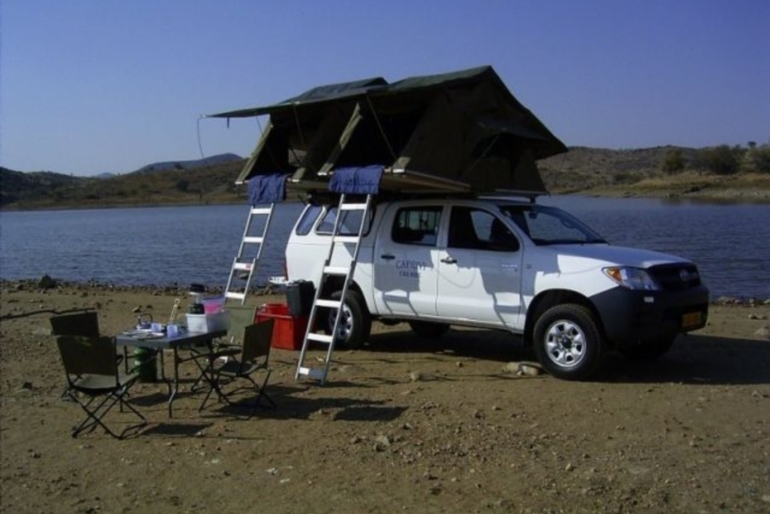 The Toyota Hilux Double Cab equipped with camping gear for 4 PAX (4x4) is the ideal vehicle for a self-drive tour. This four-wheel-drive vehicle is suitable for all roads in southern Africa, even for the more challenging terrain. The Bigger tyres offer more ground clearance than in normal passenger cars. This makes for a comfortable driving experience on gravel roads and gives a better vantage point for animal viewing.